Note: You can set [Turn off the display] to any value that is desired. 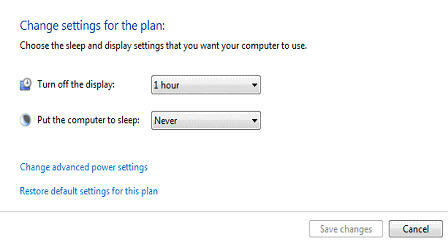 [Put the computer to sleep] must be set to [Never]. Select [Save changes]to save this as the default setting.